Posted by OromianEconomist in African Poor, Amnesty International's Report: Because I Am Oromo, Free development vs authoritarian model, Human Rights Watch on Human Rights Violations Against Oromo People by TPLF Ethiopia, Illicit financial outflows from Ethiopia, Knowledge and the Colonizing Structure. African Heritage. 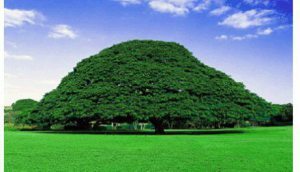 The Genocide Against Oromo Nation, Land and Water Grabs in Oromia, Poverty, The State of Food Insecurity in Ethiopia, Uncategorized, Youth Unemployment. ‘Poverty is not merely going hungry; it means lack of resources like land or education to make out a living; means lack of employment; means lack of access to some basic needs of life like health services, education, food etc., means lack of voice to be heard and ability to influence the formulation of policies or implementation of programs by the government. Definition : Poverty is a situation where the individual or community lack the resources, ability to meet the basic needs of life. Relative Poverty: Refers to lacking a usual or socially acceptable level of resources or income as compared with others within a society or country. Absolute Poverty: is destitution wherein one lacks basic human needs including clean water, food, clothing, shelter, health cover and education. World Bank has stated that fighting with poverty is at the core of its work.